Empty bottles of Conor McGregor’s whiskey are being sold on eBay. One Proper No. Twelve drinker said in a Twitter video on Monday that he bought a bottle for $US31, drank it, then sold it empty for $US40. Proper No. Twelve is the new whiskey launched by McGregor, the Irish striker who has taken the UFC world by storm. McGregor teased the business venture at a post-fight conference in 2017, when he was seen seemingly drowning his sorrows with a whiskey called “Notorious” after losing to Floyd Mayweather in the 10th round of a boxing rules fight. He then launched the brand with the more recognisable Proper No. Twelve label earlier this year. 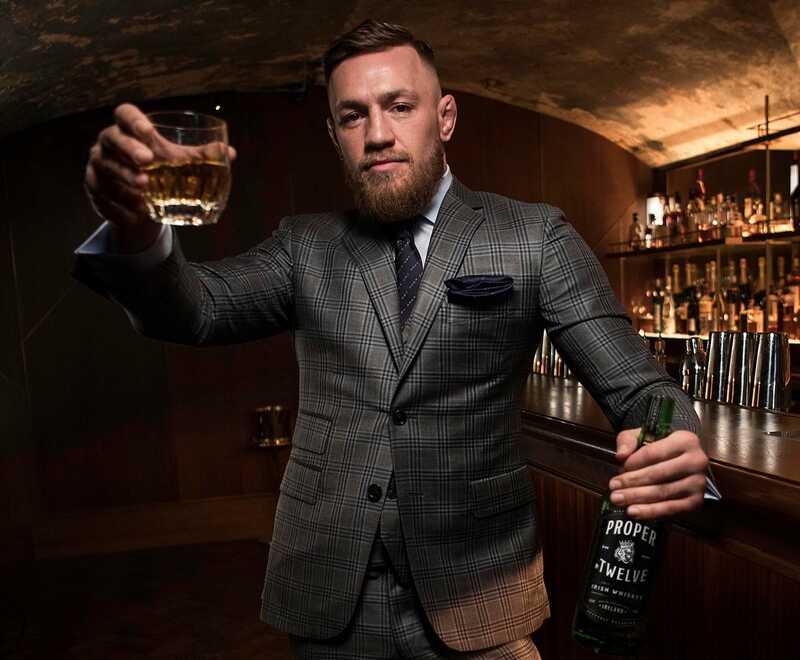 McGregor has since taken the whiskey to UFC media events, drank the liquid with his boss Dana White, and even offered it to his most recent opponent, Khabib Nurmagomedov, who refused to taste it. But the whiskey has proved a monster hit with fans as the bottle sold out so fast they had to ramp up production to restock shelves in December. Some customers are so desperate to get their hands on a bottle, they’re even willing to pay for an empty one, according to the Irish Mirror and the Irish Sun. Eric Hammer from New Jersey claims he bought the whiskey for $US31, drank it, then sold it empty on eBay for $US40 – a $US9 profit. I appreciate the support and the hustle, however. That is design bottle 1 of Proper 12. The bottle that dethroned a king. A king that had reigned over whiskey since the year 1780. Proper 12 design bottle 1. Iconic! It is already out of factory. Rare! The listing may have been taken down, as Business Insider’s eBay search for the empty bottles only turned up two options –one for $US7.99 and another for $US10. We also found a “used” cardboard Proper No. Twelve box advertised for $US9.99. McGregor has not fought since his fourth round submission loss to Nurmagomedov at UFC 229, but has regularly posted Instagram photographs of Proper No. Twelve bottles,his distillery, and his delivery trucks. The UFC may not grant McGregor an immediate rematch, as it has been reported that the company has already offered McGregor a contract to fight Donald “Cowboy” Cerrone. McGregor is determined to compete in 2019.